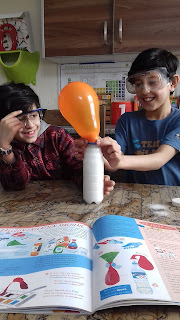 Looking for educational activities to keep the kiddies entertained this Ramadan? 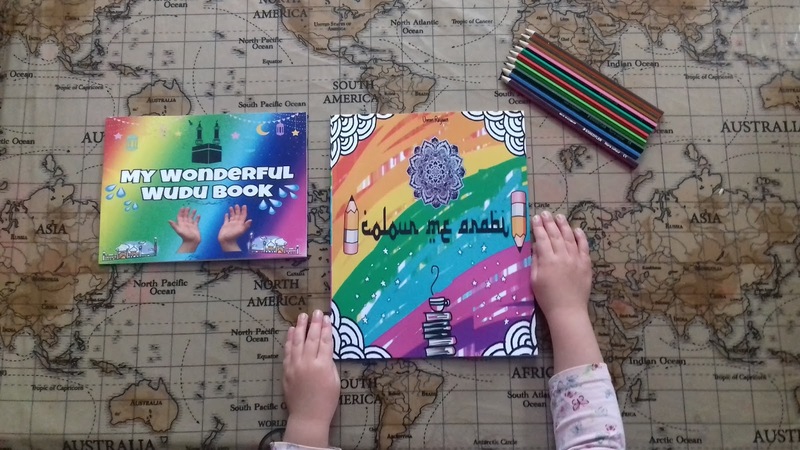 Check out these fun, vibrant colouring books from Colour Me Arabi! 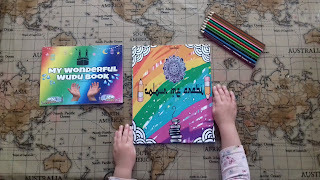 With Ramadan only a matter of weeks away, many families are planning Arabic and Islamic Studies lessons for their children throughout the blessed month. 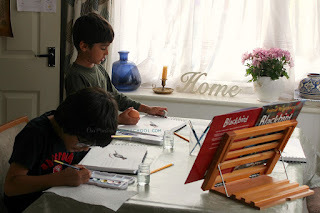 Many people make book baskets which contain reading and activity books for their children to have some quiet reading time and even designate a corner of the house for this. These books would make the perfect addition to this year's Ramadan baskets! 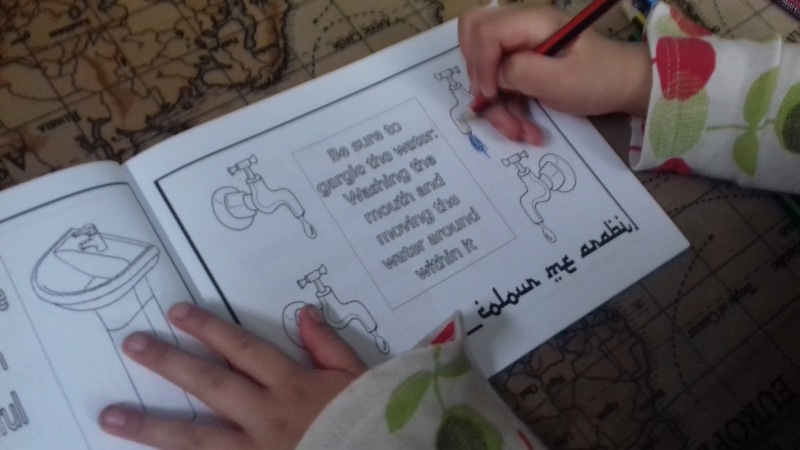 We have been trying out the Colour Me Arabi book which makes learning the Arabic alphabet and numbers more enjoyable for the little ones as they colour their way through. They also learn lots of simple Arabic words along the way to expand their vocabulary. 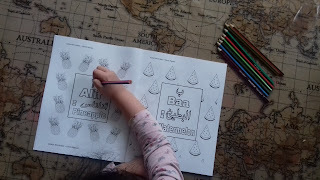 The colouring book really appealed to DD3 and she happily started colouring the letter Alif and learnt the Arabic word for pineapple. 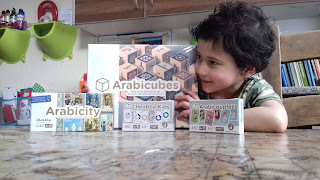 When my older kiddies are learning Arabic in the afternoons, DD3 always wants to join in. 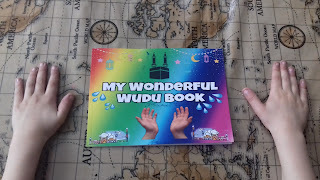 This book is perfect and made her feel part of the lesson, as she able to take out her own 'Alif, Baa, Taa book'. She repeated the word whilst colouring all the pineapples on the beautifully illustrated page and kept her entertained while her older siblings did their Arabic learning. 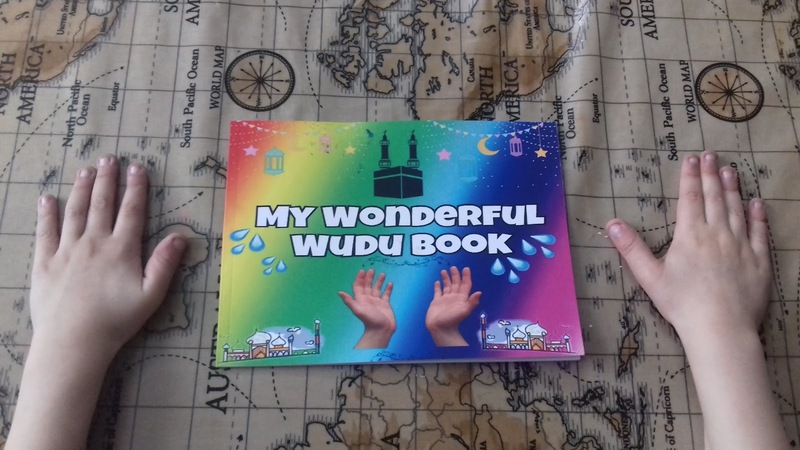 We also tried out 'My Wonderful Wudu Book' which takes children through the process of wudu (ablution) in an simple step-by-step manner. 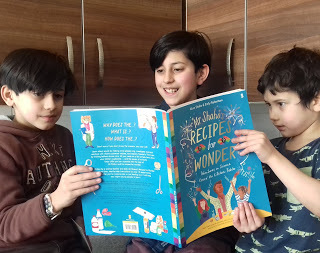 DS6 wanted to try it out and unleash his artistic flare across the pages of the book, whilst gaining knowledge in this important part of his daily life. 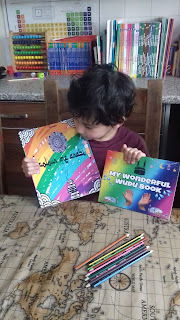 I am sure these books will benefit all the little Muslims across the globe, putting the fun back into learning! Books such as these are great to have in the Home Ed classroom. I leave them on the table before breakfast time as an invitation for the little ones to pick them up and do some colouring using their imaginations. They are also great to take along to the Masjid to keep the little ones entertained during Jummah or Taraweeh! Disclaimer: We were sent these products in order to review and promote through a blog post which contains affiliate links. All opinions are my own.